Get in the St. Patrick's Day mood (whatever kind of mood that is?) and play Shamrock Bingo! 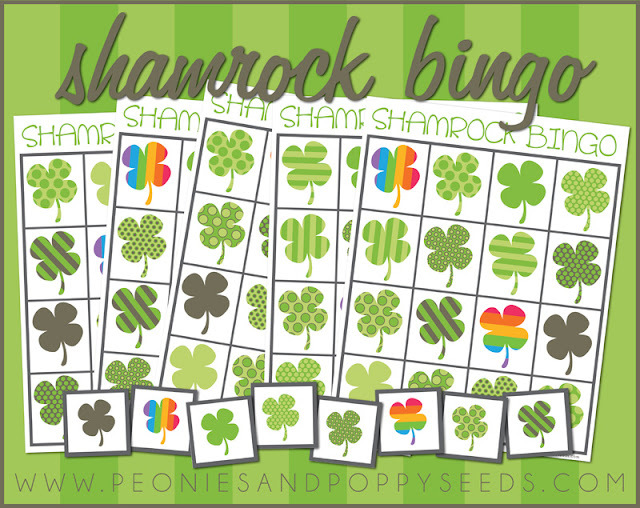 This shamrock bingo printable comes with 5 bingo cards and all the calling cards. Just print, laminate and cut, and you're ready to play. Never miss a freebie, subscribe to our RSS feed! AND follow us on Twitter, become a Facebook Fan, or keep-up via Networked Blogs!